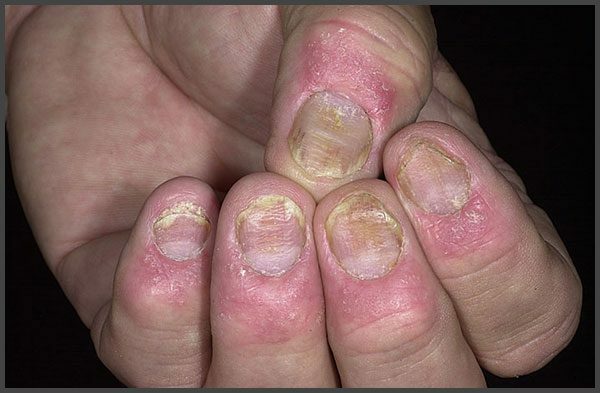 Primary signs of psoriasis of the nails on the feet resemble those of fungal infection. The nail plate begins to change in color and shape. After that, the nail begins to disintegrate up to full dissolution.